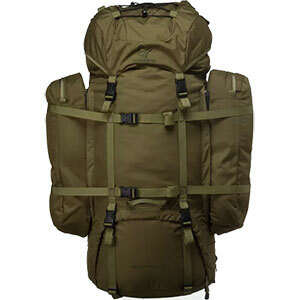 I bought this pack and the Hunter bag a couple of years ago after my old pack broke. 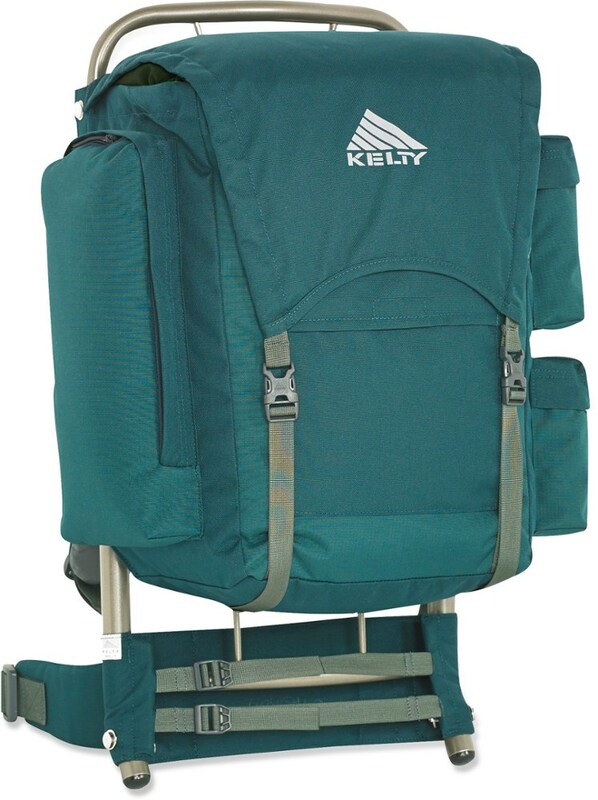 Yes, it is a more expensive pack but the quality of the frame and bag is first rate. Should last me for years. It will haul an amazing load. Packed out a quarter last year and it wasn't that bad. The only way it could have been better is if my boys would have hauled the whole moose by themselves. Barney's Sports Chalet (barneyssports.com) makes (in USA) bags and frames (sold seperately) which are interchangeable with Camp Trails' Moose/Freighter Frame and Cabella's Alaska line. Both their frame and their bags are MUCH more expensive than either Cabellas or Camp Trails, but they have a cult reputation for MUCH better build quality among Alaskan hunters and guides, who have to haul out moose quarters weighing 165 lbs or more. The Barney's frame was too expensive for me--I purchased a Cabella's Alaskan Guide frame, which is considerably more robust than the Camp Trails Freighter Frame, and seems more than sufficient for my needs. As for the pack, I bought a Super Moose pack from Barneys. Barneys makes other, more expensive packs with larger capacity and more pockets, but the Super Moose was plenty for me. It is only available right now (4/04) in a real-tree (i.e. leaves, branches, tree trunk) camo design that looks similar in color and texture/breakup to the standard military Woodland Camo (Barney's has dark green, light and other browns, black, greys) from 10 meters out. 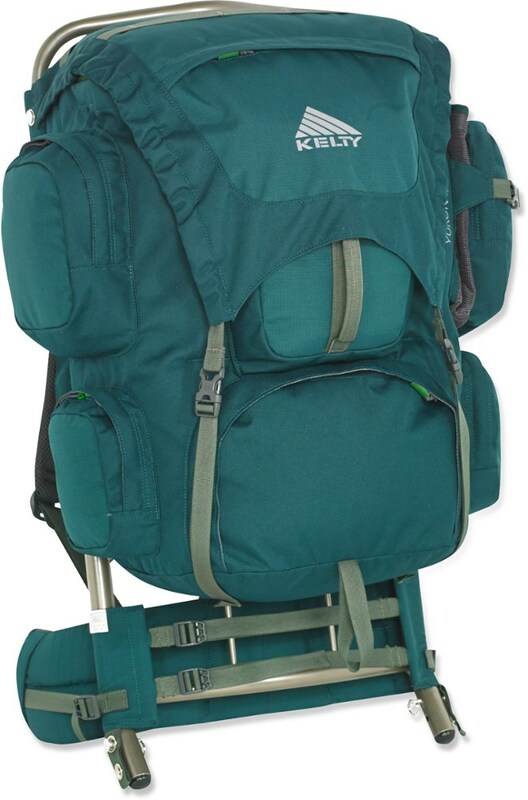 It cost $169, more than you would pay for a Camp Trails Moose III or a Cabellas pack, but is clearly of sturdier construction. 1000D Cordura nylon vs. the 420D nylon of the other packs. Double-stitching everywhere, Kevlar-thread reinforcment where the webbing attaches to the pack. HUGE metal zippers on plastic runners. 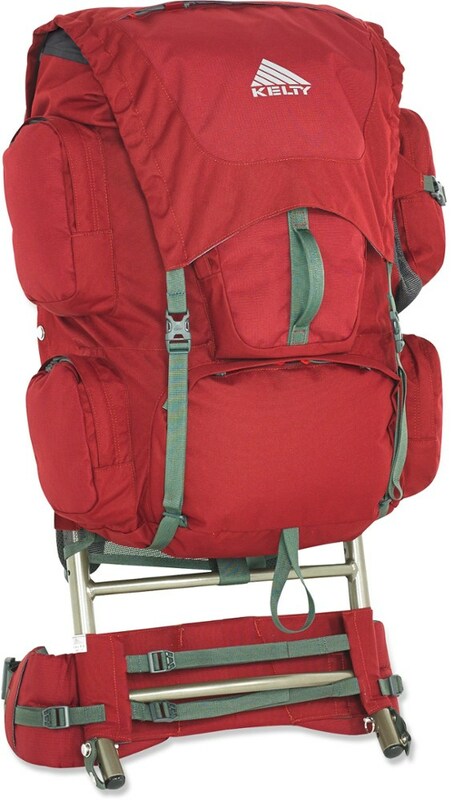 Similar shape to Camp Trails Moose III (about 30"h x 14"w x 8.5"d main compartment with two large side compartments) but with additional large compartments on front and on flap. Also the side compartments are stitched remotely to the main compartment, so that tube-shaped compartments are formed between the two, for stashing a ground mat, rifle, etc. Altogether, not including the tube space, I calculated roughly 5100 cubic inches of interior capacity. 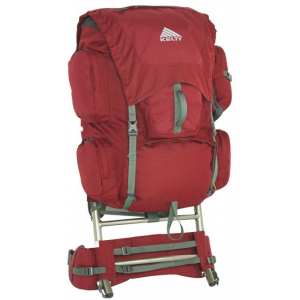 Webbing is placed where necessary on the pack to compress the various compartments, both side, tube and main. 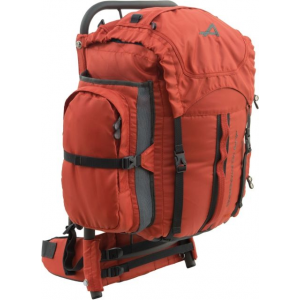 In short, the pack is huge, elegantly simple, well constructed, and tough as hell. In my opinion, it is worth the extra $50-$100. Also, the people I spoke with at Barney's--Bob, Paul and an older woman who referred to herself as the "mother of the store" and remarked that one of her grandchildren had the same name--were all very helpful and friendly over the phone. Their website is a bit clunky though, which is not surprising given that this is a small shop, and not a big company. The Barney's Sports Chalet Super Moose is not available from the stores we monitor.